Dance classes are a great outlet for physical and emotional self-expression, but kids learn about a lot more than the five positions and developing a proper turnout when they take ballet. Learning a discipline like ballet gives children a unique set of life skills they can take from the dance studio to the classroom and beyond. Even if your little one doesn’t become the next Misty Copeland or Mikhail Baryshnikov, they will still benefit hugely from studying dance. Razor Sharp Discipline, Focus, & Commitment: There is no short cut when it comes to learning an art form like dance. If you don’t master the basics, you won’t be able to execute more advanced pieces of choreography. While other kids may get frustrated when they don’t see immediate results, young dancers tend to be more disciplined, patient, and focused because they know accomplishing something extraordinary takes time and commitment. Understanding That Constructive Criticism Is A Good Thing: Dancers are taught from a young age that being corrected is a good thing and not something to be feared. When a dance teacher or choreographer singles out a student and corrects him or her, it is because they believe in the student’s potential. It’s no wonder that kids who are dancers respond positively to criticism and guidance, seeing it as an opportunity to grow and improve rather than a personal attack. A Sense Of Self-Possession: Dance classes teach kids that not everything will come easily to them, but also that with hard work they can achieve their goals. Studying dance while attending school and balancing a social life helps hone children’s time management skills, and working with a group inspires young dancers to develop their communication and collaboration skills. All of these lessons combined are what give dancers a sense of self-possession, confidence, and grace in every area of their lives. 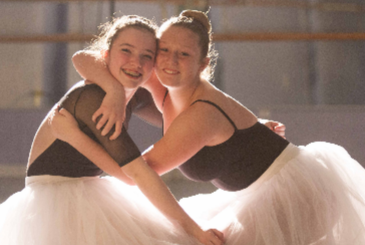 At The Ridgefield School of Dance, the teachers and staff embody the qualities and technique that allow students to develop these life long skills. For more information, call (203) 894-5957 or visit our website.